Philadelphia, PA – January 9, 2017 – Tonic Life Communications, a global healthcare public relations and communications agency, is pleased to announce four executive leadership team appointments. The appointments follow a year of significant growth for the agency and demonstrate the company’s focus on expanding critical areas of the business to meet the needs of the global healthcare market. Stephanie DeViteri has been appointed to the role of Managing Director, Philadelphia. In her new role, Stephanie will assume responsibilities for managing and growing the U.S. headquarters, which will include sustaining client partnerships along with talent and business development. Stephanie has nearly 15 years of healthcare public relations experience. Dana Lynch has been appointed to the role of Executive Vice President, Global Strategy & Business Development. In her new role, Dana will spearhead Tonic’s global strategic business plan and drive business development. Dana has more than two decades of communications experience and nearly a decade leading global client business. Kelly Kutchinsky has been appointed to the role of Executive Vice President, Global Insights & Innovation. In her new role, Kelly will advance agency-wide research and analytics platforms to drive strategic program insights as well as demonstrate the measurable impact of communications campaigns. Kelly has nearly two decades of experience in strategic healthcare communications. Theresa Dolge has been appointed to the role of Chief Media Relations Officer. In her new role, Theresa will develop a long-term vision for Tonic’s media relations offerings ensuring the agency achieves clients’ goals through delivering innovative and impactful solutions. Theresa has nearly two decades of experience in healthcare media relations. Tonic is a global healthcare public relations and communications agency that has the art of communications down to a science. Driven by insights and powered by scientific expertise, Tonic elevates how people, passion and products are making a difference in the lives of consumers, their families and the providers who treat them. Tonic has dual headquarters in the US (Philadelphia) and UK (London). For more information about Tonic Life Communications, contact Maryellen Royle at maryellen.royle@toniclc.com and visit the company’s website at: www.toniclc.com. Tonic is part of Huntsworth Health, a global family of best-in-class agency brands with expertise in strategic analysis and planning, medical communications, interactive marketing, branding and brand awareness, advertising and marketing communications, public relations, and sales training and development. 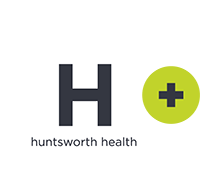 Huntsworth Health has offices in Auckland, Beijing, London, New York, Philadelphia, San Diego, San Francisco, Shanghai, and Singapore and has access to 70 offices in 31 countries through the Huntsworth plc global network.